My personal favorite cloud storage service, Box, received an update on Android this afternoon that introduced multi-selection of folders and files, plus the ability to copy and move them. In order to activate this new functionality, all you have to do is long press on the first folder or file that you would like copied or moved, and a column filled with check boxes will slide out from the left side. 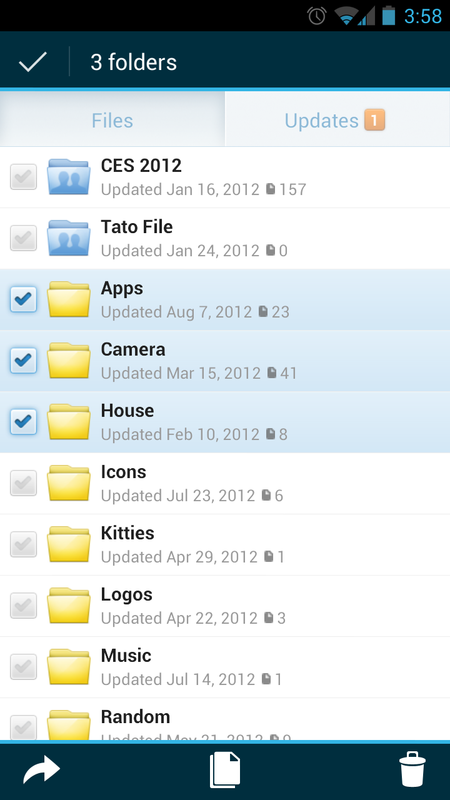 From there, tap away on boxes to select other files and folders. The icons on the bottom will let you move, copy or delete. Have you chosen Box as your many cloud storage service, or are you too invested in Dropbox?